Do you need to protect your business name? Do you want to protect your product or service name? Are you confused about trademarking process? Don’t know which trademarking company to choose? Do you want to work with award-winning trademark professionals without paying an arm and a leg for trademarking? You found out another company is using your trademark. What should you do? Have you received a cease and desist letter? Are you an Amazon private seller? Do you want to get into Brand Registry? Do you want to check if your trademark is registrable? Do you want to spend as little money as possible and get the results? Do you want a guarantee? Is your Amazon listing hijacked and you need help? Do you want to optimize your Amazon listing? We work on a flat-fee basis; our pricing is transparent and clear. If your trademark is refused, we’ll file another – fee excused! We are on a mission to make trademarking affordable and easy to understand. No need to take a mortgage to register your trademark! At half the price and no frustration. Trademark Angel Inc. is an International trademark registration firm. We offer trademark registration in Canada, US, EU, UK, Australia and internationally. In fact, we have over 2 decades experience in the trademark field! We understand that today’s market is competitive. That’s why we provide quality trademark registration at an affordable flat rate, meaning you won’t need to take a hammer to the piggy bank. August 26, 2017: We made some exciting changes to our pricing packages, and now offer free trademark re-filing with our ALL IN and BELLS AND WHISTLES packages should your trademark be refused or rejected. January 6, 2018: We now offer 20% if you decide to file a logo or a 2nd trademark in the same country. At best, our competition offers a 10% discount. Wow! Our competitors don’t offer anything close to this kind of coverage, and certainly not at the same price. August 12, 2018: We have now added Australia to our flat-fee model with re-filing guarantee. November 12, 2018: We have now added China to our flat-fee model with re-filing guarantee. April 8, 2018: Is your Amazon listing hijacked? We can remove Amazon hijackers. We can optimize your Amazon listing. Check here. Trademark Angel Inc. offers affordable flat rates. We’re confident we have the best prices on the market, which are less than half of the average industry price! Find a cheaper identical offer? Ask about our Meet and Beat Guarantee. Not only do we match the offer, but we’ll beat it by 10%. File with confidence! If your trademark is refused, we’ll file another – fee excused. Are you a startup wanting to avoid hefty lawyer’s fees? We’ve got you covered! Are you an Amazon seller? Do you have an online retail store? You are in the right place! At TRADEMARK ANGEL we value personalized service. This means you’ll always work with real people, never a computer. Need help? We are available 24/7 to answer your questions. Feel free to send us a message through our LIVE CHAT option! Do you want to register in multiple countries? No need to look for different firms. We offer our flat-fee packages with re-filing in 6 jurisdictions now: Canada, US, EU, UK, Australia and China. We work a lot with Amazon sellers so can help you with your Amazon listing issues. Covers filing your application and reporting the progress all the way to registration. Include up to two classes. This is our entry-level package. See details on Pricing page. Covers full trademark registration, including reporting and responding to non-substantive examiner’s objections and free re-filing. Covers all aspects of trademark registration, including responding to all examiner’s objections and free re-filing. More free extras. Prices depend on the country. Please check individual country page for exact prices for each package. Are you an Amazon seller? Do you want to get into Amazon Brand Registry faster? Ask us about a UK trademark application. This is your fast-track to Amazon Brand Registry in only 3-5 months! Compared to a minimum of 7 months in the Australia, 9-18 months in the US and 24 months in Canada. It’s easy, fast and inexpensive. Note: a UK trademark will not protect you in the US, so you will still need a US trademark but having a UK trademark will allow you to get into Amazon Brand Registry faster. If your Amazon listing is hijacked, we can help you to get rid of hijackers as long as you are in the Brand Registry. Actually we guarantee that we’ll remove them or the 2nd removal is free! We offer the most competitive rates in the trademark registration business; make the best decision for your company by sending your Canadian, US and European trademark filings to us. Anita is an award-winning agent, which means you’ll receive the highest quality of work without having to overpay. Our firm employs both US attorneys and European representatives. We also offer free re-filing of your client’s mark in an unlikely event it is refused (with our ALL IN and BELLS AND WHISTLES packages). You are free to purchase one of the flat-fee “packages”, or you can use our standard schedule of charges (please email us to get a copy). Do you have a lot of Canadian work? Contact us and we’ll give you a special deal. Do you want to know if your client’s trademark is registrable? Click here to order a free trademark search. Do you have any questions about trademarking in Canada or the US? Contact us and we’ll help. We accept PayPal, Payoneer, credit cards, Transferwise and regular bank transfers. Why should I use TRADEMARK ANGEL to register my trademark? We guarantee that a trademark professional (trademark agent or trademark attorney) will work on your file (not an assistant, not a paralegal, not a machine). We offer flat fees. So your budget is set from the get-go. We offer free re-filing of your trademarks if they are refused by the Trademarks Office. The founder of Trademark Angel, Anita Mar, received the Canadian Education Foundation Prize for the highest results on the Trademark Agent examination in 2008. You say – no big deal? Only 25% of contestants pass the exam according to the statistics provided by the Canadian Trademarks Office, and this 25 % includes those who write for the 2nd and 3rd time. We work with top-notch professionals in different countries. We can register your trademarks now in 6 jurisdictions with our flat-fee model and re-filing guarantee. No need to shop elsewhere, we are your one-stop shop for all your trademarking needs. We offer “I changed my mind” guarantee. If you’ve decided to go elsewhere with your business, we offer a full refund within the first 48 hours of partnering (provided we haven’t started work on your application). At Trademark Angel, we offer a 20% if you decide to file a logo or a 2nd trademark in the same country. You’ll be hard-pressed to find a better deal. Other law firms will often only give a 10% discount for the 2nd mark, if you’re lucky! Do you need to incorporate first? We’ve got you covered. We offer incorporation services too – no need to go to another place. These services are provided through our partners: Canadian and US lawyers. We offer 3 competitive packages and many other perks you won’t find anywhere else. We understand that cash flow may be a problem, which is why we offer payment plans. If you’re strapped for cash, we’re happy to barter! Our main goal is to make trademarking easy and affordable for everyone. Trademark Angel is a company you can definitely rely on. They helped us get a trademark on our brand logo. The whole process only took 6 months, and it only cost me about $600 dollars. They honestly have a great service and the representatives were so nice as well. Now, my trademark can be enrolled in Amazon Brand Registry. Trademark Angel is a wonderful company in helping getting your trademark registration done! Anita is very knowledgeable. She is honest and very easy to work with. Her knowledge in e-commerce brand registration really impressed me and she offered great advice on how to get things done right and fast. Her team keeps me updated all the time which I really like. Highly recommend anyone who are still searching around for a good trademark registration service, especially to those e-commerce business owners! My trademark issues were somewhat complicated, and I am truly grateful for Trademark Angel to guide my trademark project to a successful conclusion. They are very experienced and responsive, and throughout the process they were unfailingly knowledgeable with guidance and instructions. Your trademark work will be in very good hands with Anita and her team, and you cannot beat the price. Before using these guys this the team I was working with was like pulling teeth to get replies and were moving incredibly slow. I found out about Trademark Angel, severed my ties with my previous advisor, and paid half of the original price I paid, to get the job done in 1/2 the time. Great stuff. My experience with Trademark Angel has been incredible! I tried registering my trademark on my own at first to save some money. My application was initially denied. I had just heard of Trademark Angel on a podcast recently, so I decided to work with them on a reply to the USPTO. Anita was extremely straightforward and honest about the likelihood of approval, what my options were, and left the decision to me without pressure. We decided to proceed with a response to the USPTO and they did such an incredible job with the response that the USPTO changed their decision and approved my trademark! I am SO SO glad I worked with them. There’s no way I could’ve done this without them. I’d recommend their services to anyone looking to register a trademark and will definitely be using them again. I simply cannot say enough great things about this company. Anita is fantastic to work with, and she made the entire process easy and affordable. I refer anyone that is serious about registering and protecting their brand. I am extremely impressed with Trademark Angel. Anita is very knowledgeable and easy to work with. My trademark registration process was smooth and quick. Thank you!! Trademark Angel is truly excellent in every respect. They know their stuff, are extremely efficient and responsive and professional throughout. My two trademarks are now registered – thanks to Trademark Angel. Excellent job! Great advice on all the goods and services needed in each class for my needs. Perfect communication and work organization. They have a lot of experience and always choose the right option, I am very sure that they are the best. Trademark Angel responded to my job request and I chose to use their services because they clearly knew all about the trademark application process and offered a professional yet friendly response. I have no hesitation in highly recommending Anita and her team and they has completed my job in a timely and highly professional manner. I like that they take pride in their work and is not simply finished with you at the end of the contract but instead, is happy to continue to look after issues that may arise in the future. Thanks, Anita. Anita is a very great person to work with. She is honest, fun, and understands that businesses come form a start-up budget. She is also very excelled at trademarks. They call her the Trademark Angel for a reason! Anita is the most honest, hard working, a reasonable agent I’ve ever met in my life. Very knowledgeable of the trademarking process. Anita was very helpful when securing my trademark. She stayed in constant communication, was able to answer all of my questions, and produced high-quality work for a reasonable price. Anita is a real professional! She quickly responds to messages, is open to questions and always gives professional suggestions. Anita showed her amazing skills in the industry. She made a detailed research for 3 trademarks for Canada and USA, prepared and submitted our applications on time. Anita was very patient to all our revisions, changes and made a great job! We will definitely come back to her for the future projects! Thank you! 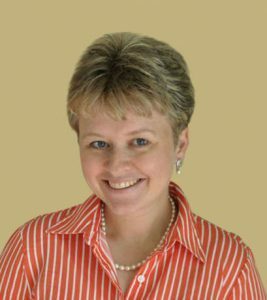 Yuliia Rudominska, R.E Royal Trading Inc.
Great experience – You certainly were our Trademark Angel! Thank you so much for filing our application and at such an affordable price. These days it is hard to find such friendly and helpful service like the one you provide. Appreciate the honest approach and the time you gave us to assist in understanding the requirements before we had even requested a quote. Given I live on the other side of the world, you made the application process for trademark so easy and saved me hours of time trying to figure out US requirements for application. I will definitely be calling on your services again for future trademark requirements. Anita and her team was incredibly kind, professional, efficient and knowledgeable about trademarks. They were patient with me and understanding. Jennie Peterson Yu, HENRY & BROS.